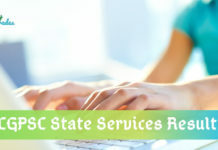 PSEB 10th Result 2019- The Punjab School Education Board (PSEB) will release the PSEB Class 10th Result on its official website – pseb.ac.in. The result will be declared online in the first week of May 2019. The PSEB Class 10th examination will be conducted in pen and paper mode from 15 March to 02 April 2019. Candidates will need their Punjab board 10th roll number to view the subject-wise scores. The mark-sheets of the candidates will be available at their schools within 15 days. It is suggested to download the result and save it for the future. 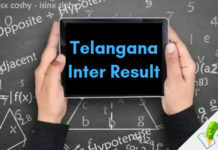 A link to check the result of PSEB Class 10th 2019 will be updated here as well. In 2018, the result of Punjab Board 10th result was announced on 09 May 2018. The overall pass percentage is 59.47 per cent. A total of 3,68,295 students (including regular and open candidates) appeared for the Punjab Class 10 exam out of which 2,19,034 passed the same. The overall pass percentage of the Punjab Board 12th result 2019 will be declared in the last week of April 2019. Download the PSEB 10th Result and take a printout for future reference. The Punjab School Education Board (PSEB) was established in the year 1969 through a legislative law of the state Assembly. The board has authority to design the course pattern and curriculum and regulates the education policies in the affiliated schools. Every year, the board conducts the board exams at Secondary and Higher secondary level. 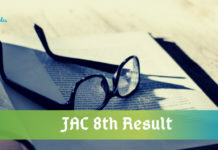 Stay Connected With StudyGrades for Latest Updates on PSEB 10th Result 2019!